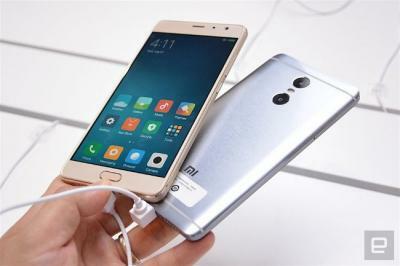 A few days ago Xiaomi launched a new entry-level smartphone, the Redmi Pro - with a 5.5" FHD AMOLED display. According to a report from China, that AMOLED is produced by two Chinese display makers - EverDisplay (the main supplier) and BOE Display. Everdisplay (EDO) started mass producing 5" 720p AMOLED displays towards the end of 2014. Since then the company seems to be accelerating its OLED program, and is now offering several displays - including indeed a 5.5" one (EDO also produces and develops smaller AMOLEDs for wearables and larger ones for the automobile market). BOE Display is producing AMOLED displays at 5.5-Gen LTPS OLED fab in Ordos. According to earlier reports, BOE was still struggling with low yields back in August 2015 - but these issues may have been overcome and the company is now ready to mass produce panels. In any case the report says that BOE is the 2nd supplier so probably the volume required for Xiaomi is quite low. If this report is true, this is a good design win for these two Chinese OLED makers, especially for EDO. This may put some pressure on Samsung Display, although the Chinese producers' volume is still relatively low, and display quality and yields are probably not up to par with Samsung. This means that actually it will be difficult for these new comers to compete with SDC on price (unless they are actually selling these first displays at a loss). Of course this is set to change in the near future, and SDC knows this, which is why the Korean company is focusing its OLED future on flexible displays - which can still carry a premium as these displays are more difficult to produce.